No reaction/comments since March 2009?? It was time to change that. I just download it and like you say with a title like that, for cosmic lovers, wow. When listened to it, I'll be back (probably!) anyway, thank you for your ripping job, it's more work than with CD, GREETZ! Well... I let the other people judge by themselves! So weird.. weird music, that's it.. 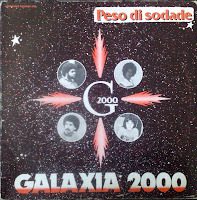 This album have another edition with Label: Arsom Records - Portugal 1982.